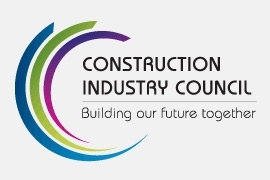 The Construction Industry Council is comprised of representatives of the six largest construction bodies operating in Ireland, including the Association of Consulting Engineers of Ireland (ACEI), the Construction Industry Federation (CIF), the Royal Institute of the Architects of Ireland (RIAI), the Society of Chartered Surveyors Ireland (SCSI), Engineers Ireland and the Building Materials Federation (BMF). The Council meets on a monthly basis, and has regular meetings with other professional bodies, government and international stakeholders. CIC was instrumental in the creation of the ‘Strategic Review of the Construction Industry’ (1996), the ‘Forum for the Construction Industry (1997-2006)’, ‘Jobs and Infrastructure: A Plan for National Recovery’ (2009), and ‘Building a Better Ireland: Investing in Infrastructure and the Built Environment to support Ireland’s smart economy’ (2010). The overarching aims of the CIC are to deal with issues of common interest for the construction industry, and to act as the cohesive voice for the sector on high-level policy issues by engaging with stakeholders accordingly. The CIC complements the work of its member associations by undertaking strategic reports, engaging external expertise and providing a united voice on mutual areas of concern and interest. CITA works to actively encourage the Irish Construction sector to take full advantage of current and emerging Information and Communications Technologies. CITA transmits the latest information on technology trends through monthly events and annual conferences with experts in key areas whilst providing networking opportunities with peers. The Alliance has robust links with the professional bodies and representative organisations of the AECO Sector. These include ACEI, CIAT, CIBSE, CIF, CIOB, DIT, Engineers Ireland, GMIT, ICES, IPFMA, IStructE, Law Society, LYIT, NDFA, OPW, RIAI, SCSI, University of Limerick, University of Ulster. All of the above are closely involved in the design of the monthly events and each body chairs an event. CITA BIM Education Forum was setup in January 2014 with the aim that together with other relevant industry partners on CITA BIM Group, CITA could develop the conversation around BIM in Education in a consistent and joined-up way, and the Forum could provide an opportunity for them to express their views/opinions, and find out what other organisations are doing with regards to education in BIM. • (The European Federation of Consulting Engineering Associations) is the sole European Federation representing engineering consultancy and related services. It comprises 24 national Associations from 22 European countries, representing over 8,500 firms, who currently employ over 200,000 staff and have an annual turnover in excess of EUR 18 billion. • Is a non-profit making and independent professional organisation committed to representing the profession in Europe and promoting engineering consultancy and related services. • Represents the interests of the profession to the European institutions so that directives and regulations affecting the work of engineering consultancy and related services are fair to both the profession and society as a whole. • Also represents the interests of its members to lending agencies such as the World Bank, European Bank for Reconstruction & Development, etc. and to other institutions and organisations in and outside Europe. • Requires all its members to comply with its Code of Conduct, which governs the performance and quality of the services provided by consulting engineers. In view of the importance of the EU in the Irish context ACEI has been actively involved in the work of EFCA since its inauguration. 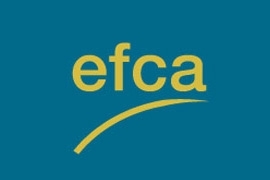 Individual members such as Donal Lynch and Jack Kavanagh have participated on the EFCA Task forces dealing with various EU Directives i.e. health & safety, public procurement and related issues.The Executive Director of ACEI Anne Potter acted as vice President from 2000-2003. FIDIC (The International Federation of Consulting Engineers) represents the International business interests of firms belonging to national Member Associations of engineering-based consulting companies. The members of each national association comply with FIDIC’s Code of Ethics which calls for impartial advice, competence and fair competition and endorse FIDIC’s Policy Statements and Statutes. Founded in 1913, FIDIC membership today numbers 67 member Associations in different countries representing some 540,000 professional consulting engineers worldwide. Membership of FIDIC is restricted to one Member Association per country and ACEI is the Irish member. However companies and organizations may join FIDIC as Affiliate or Sustaining Members if there is no national Member Association in their country. 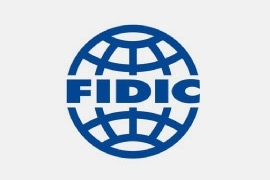 FIDIC publishes international contracts and agreements which are used by World Bank and other funding agencies. Given the rapidly changing marketplace and contractual relationships, i.e. Design Build (DB), Public Private Partnerships (PPP), Design Build Operate (DBO), etc. FIDIC has over the past few years revised its core suite of documents and developed additional contracts to meet the needs of the market.These are now being used by Irish public bodies such as Dept. of Environment, NRA etc. in relation to DB and PPP contracts.The FIDIC documents are also being used by the Forum as a basis for the development of an Irish suite of contract documents for use in PPP and other related DB contracts. ACEI is a strong supporter of FIDIC and given its relatively modest size, is quite active, in the drafting of the various FIDIC contract and construction liability documents through the efforts of individual members including Dr. Nael Bunni. The President and Secretary General of the Association participate in the FIDIC Annual Conference and General Assembly Meeting. 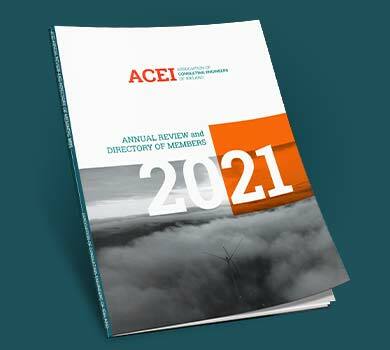 Over the years ACEI has developed excellent working relationships with a number of FIDIC Member Associations and is able to obtain a rapid response to queries raised by members as well as facilitating networking opportunities or contacts for members in other countries.